June 22, 2010  New Yorker writer Lawrence Wright spent three weeks in Gaza late last year. Wright discusses Israel's recent easing of the Gaza blockade -- and explains what it could mean for the future of Israeli-Palestinian relations. June 18, 2010  Airships were once the giants of the skies. They were soaring before the airplane and were used as the first strategic bombers in World War I. What happened? Blimp technology has come a long way since the Hindenburg. Ira Flatow and guests discuss airships of the past and future. 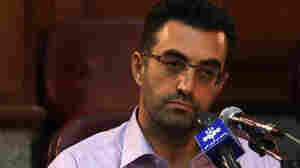 June 15, 2010  Newsweek correspondent Maziar Bahari was arrested in Tehran a year ago while covering Iran's election protests. He explains how he endured 118 days in Iran's notorious Evin Prison, where he was repeatedly interrogated and tortured — and how he now views his homeland. June 12, 2010  A year ago today, Iranians went to the polls. The disputed outcome pushed thousands of protesters into Tehran's streets which, in turn, sparked a violent crackdown by Iran's Revolutionary Guard. Guy Raz discusses the state of Iranian domestic politics, the strength of the regime and its nuclear ambitions with Reza Aslan, a contributing editor at The Daily Beast and professor at the University of California at Riverside. June 12, 2010  The United Nations Security Council imposed a new round of sanctions on Iran this week, in the hopes of pressuring it to give up its nuclear program. Western nations suspect Iran is trying to develop nuclear weapons, but Tehran insists it's only interested in peaceful energy projects. Host Guy Raz speaks with Susan Rice, the U.S. ambassador to the U.N., who led the intensive U.S. efforts to get the sanctions passed. June 12, 2010  Saturday marks the first anniversary of Iran's disputed presidential election. Opposition leaders, saying the results were forged, launched a campaign of protests that was put down with increasing violence by Iranian security forces. Opposition leaders had planned for more demonstrations Saturday, but the government has warned any protests will trigger another strong crackdown. Host Scott Simon talks with Karim Sadjadpour, an associate at the Carnegie Endowment. June 11, 2010  Israel announced this week that it is slightly easing the blockade after the deadly May 31 commando raid on a ship carrying relief supplies to Gaza, but critics say that an entire policy shift is needed. June 10, 2010  The U.N. Security Council imposed new sanctions on Iran after months of diplomatic negotiations over the future of its nuclear program. Iran's president Mahmoud Ahmadinejad dismissed the sanctions. Critics are split. Some call for harsher penalties on Iran, others say sanctions undermine diplomacy. June 10, 2010  The U.N. Security Council adopted new sanctions against Iran on Wednesday. Stanford University analyst Abbas Milani talks to Steve Inskeep about the sanctions, yet another attempt to pressure Iran into abandoning its nuclear ambitions.